When minnie me asked for soup this morning I was shocked. She is normally a great eater but her requests usually include a little more sugar. Immediately I touched her forehead to make sure she wasn’t sick ( hey my mommy thermometer is very very accurate). 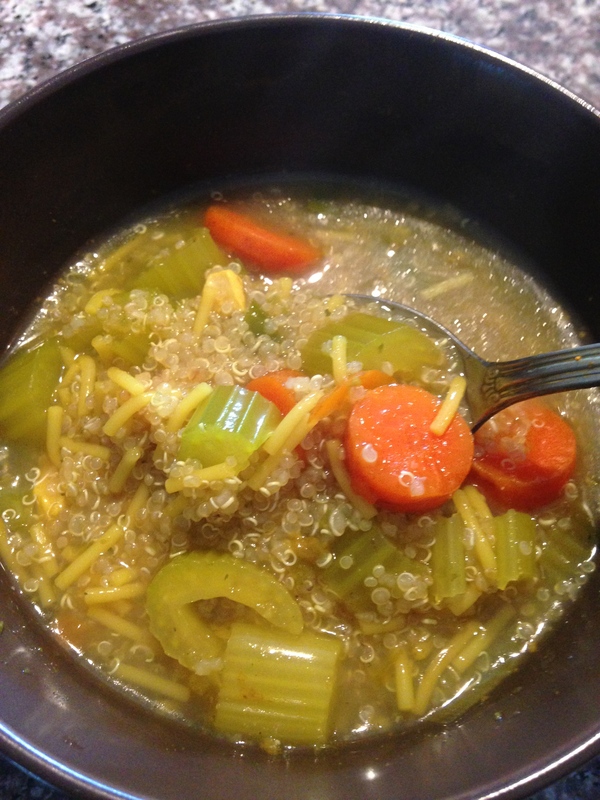 Here is Bella’s favorite rainy day Soup!! *Bring water,chicken broth and sofrito to boil in medium saucepan. *Add chicken breast ( chopped) and cover. Allow to boil for approximately 10-15 minutes. *Add salt, pepper, turmeric, carrots, culantro (Not cilantro), fresh oregano ( check out link above), chives and celery. Boil over medium high heat for additional 30 minutes stirring occasionally.